Last 2014, regarding the gold production, the role of some countries was certainly more decisive than that of others. What are the top ranking countries? 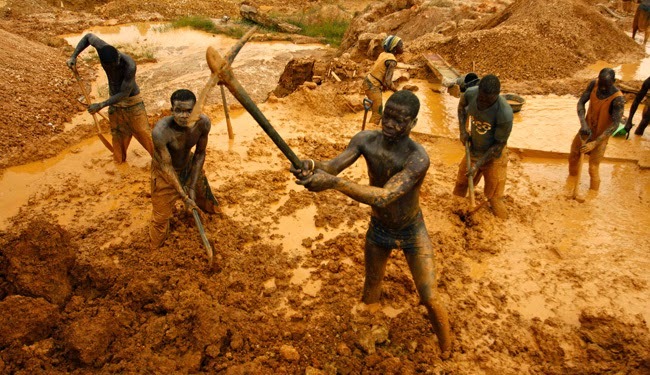 In the ranking of 10 biggest gold producers worldwide, Ghana is in tenth position with 106 tons unsurprisingly as 90% of the national mines have gold. The 9th position goes to Indonesia; its more than 175,000 islands hide resources, gold among them, even though rumors say the quantity of gold equals to USA. Will this country surprise the world this year? Mexico ranks eighth after it experienced a drop in gold production; meanwhile it is expected that the government invests in the gold mining sector following its plans to achieve financial stability. 7th - Canada astonished the gold market with an increase of gold production during 2014, from approximately 140 tons in 2013 to 153 tons. From North to South, we return to Africa positioning South Africa in 6th place. The nation represents almost 50% of the gold reserves from all around the world, and it is closely followed by Peru, which production decreased due to high costs in gold mining sector. A decreased in gold production was also suffered by USA, with 200 tons in 2014 in comparison with 228 tons in 2013. Which countries are on the podium? The bronze medal goes to Australia with approximately 270 tons; the silver medal is for Russia, which gold mining companies are facing difficulties to extract gold in new mines, but still its production increased 9%. And, finally– and quite literally – the golden medal corresponded to the Asian Giant, China, with more than 460 tons. With the numbers at hand, it is time to wait for the figures in 2015 and how will they affect the gold price in the future. Right now it is time to buy gold with the most profitable conditions in the Emgoldex online store. 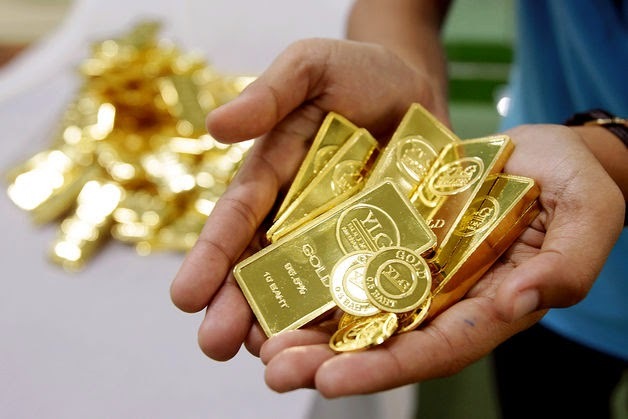 The company offers high quality investment gold bars, besides the opportunity for clients to create their own gold business and reserve to ensure the well-being of their future! Keep up with the official website to get the latest news and share them with everyone to offer the best opportunity to buy gold!